As I have been reading through this book the last couple weeks and also had the privilege to listen to Angela Thomas speak as well. I felt led to share with you all some things that I think directly relate to our study. 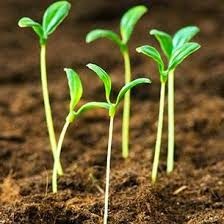 1) The seeds that fell along the pathway – a well traveled pathway is a beaten down path, the soil is so packed down from being stepped on and worn that nothing can penetrate it, nothing grows. This solid is so broken and hardened that nothing can grow on it. 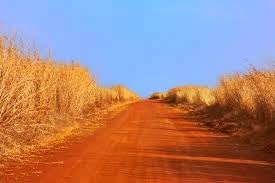 Some of us have been so worn down and broken from the events of our life that we are just like this pathway. Our exteriors are so hardened that whatever is spoken to us just lays right along the surface. Because of this we are such easy prey for satan to sweep by and beat down a little more. A woman with a beaten down soul hears but rarely can receive God’s word. Is your soul hardened this morning? What has happened in your life that has made you feel so beaten down? Did you realize that be staying in this beaten down state it is nearly impossible to hear from God and receive His word in your life? 2) The seeds that fell along the rocky ground – in this example, the seeds fall where there is not much soil. 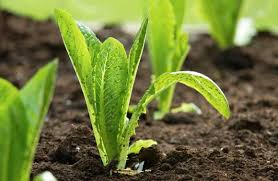 The roots of the plant does not have enough soil for the roots to take hold. 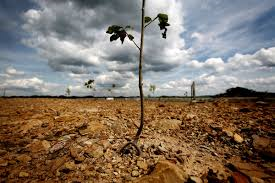 The plant springs up immediately but because there is no depth as soon as the heat hits they are scorched and whither. There is no nourishment for them. Some of us are rocky soil. We go to a women’s event or a church service, we hear God’s word and we receive it with joy. But because there is no depth, no intimate and deep relationship there we shrivel up as soon as the trials of life come our way. Just as the seeds shrivel at the sun, we are quick to offense. Is your heart like rocky ground? Do you get excited after a spiritual encounter and then quickly fall back into your normal life? Does your spiritual life feel like an extreme roller coaster with constant ups and downs? God does not desire for us to have a roller coaster relationship with Him. Life will hand us tons of ups and downs, but our relationship with Christ is meant to be constant, close and intimate……never wavering. 3) The seeds that fell among the thorns – the seeds were able to take hold and begin to grow. There was soil there for nourishment. 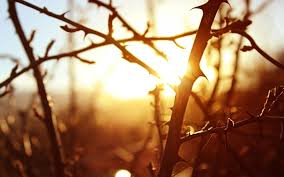 However, because there were so many thorns the plant was soon choked by the thorns and did not thrive. I could camp out here for a while. The “thorns” of our lives are everywhere, especially for us women. Each of our thorns might look different, but a thorn is anything that takes you focus off of Christ. What does that look like to you? Kids…..Husband…..work…..money……appearances…….church activities…..ect. I am pretty sure the list can go on and on. When we become so caught up in the things of this world we are choking our soul and keeping our hearts from being the good soil for Gods word to grow. 4) The seeds that fell on good soil – this seeds is able to receive the fullness of Christ! Nothing hinders this seed from growing. To the woman who has Christ as her savior, the fullness of the diet of God was bought for you on the cross by Jesus. Knowing that Jesus died for me to have this fullness I would be scared to live any other way! It is so easy for us to fall on the first 3 types of ground. Life is hard. Hurt and heartache are everywhere. The world is demanding and busy and hectic. We put so much on ourselves to be the perfect…..everything. And we sometimes forget what we are here for. We are here to honor and glorify the Lord our God. By being so consumed by the things of this world we are missing what we don’t even know we are missing. We can be FULL! Full of Christ. We were made to crave God, and God alone. When we feel empty we need not to seek after food or drugs or relationships…we can be completely, 100% full with the greatness of Christ Jesus. The “cloud of witnesses”….that us. That is the company we keep. We must surround ourselves with good company. And my favorite part is the two words “THOW OFF”. Throw it off. Anything that hinders or entangles., anything that is keeping us from being good soil…..just throw it off. The passage doesn’t say wait until you loose 50lbs, or until you have the next job…..it says throw it off. Today. Right now. Yes some of us have endured incredibly hard and hurtful things that have hardened our hearts. Some of us have so many “thorns” in our life that is seems impossible to get untangled. Jesus tells us it is that we just need to decide right now in this moment to throw it off. It is stopping us from being completely filled with Him. What is clinging to you today? What are your thorns? What is the condition of your heart? When you look honestly and boldly which of the 4 is your heart today? If we truly want to be changed and Godly people we have to be able to look openly at where we are and see clearly where we need to go. Love you and praying for you today!